Classic dessert made up of just eggs and milk , remains stand out for its creamy texture and mild flavors. Ready in few minutes , this ultimate egg pudding is loved by all ages. Such a rich looking dessert you wont believe how simple and easy to create it until you have actually made it. Description : A healthy and Easy to make dessert. Preheat the oven to 180degree. Place the milk in a pan with sugar and saffron mixture , stirring to dissolve. Heat to just below boiling point then pour onto the eggs and stir to combine. Next shift the whole mixture to Baking dish. Bake for about 30 minutes. It should still wobble slightly. 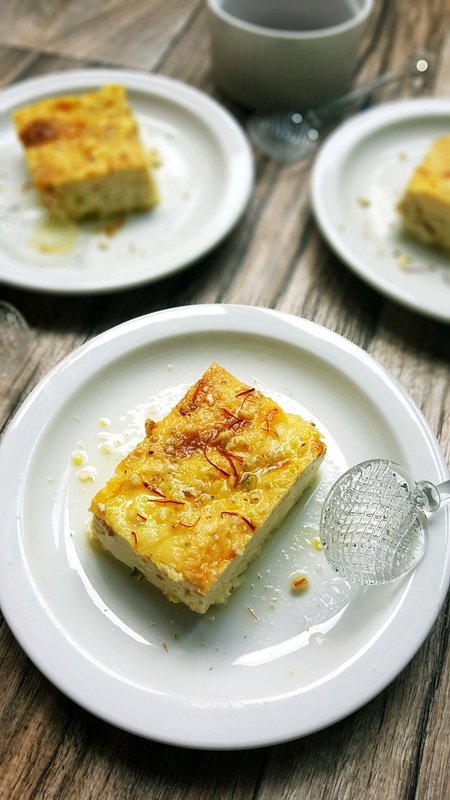 Serve hot , warm or chilled topped it with some saffron strands and crushed almonds. Stay connected with my daily food updates on Instagram and facebook @mealswithmemories.